Plan for Kenya jungle safari is learning’s from my previous jungle safaris in India as well as my self planned Switzerland tour, which was grand success. First important thing that I have learnt from my previous jungle safaris is that stay inside core zone or as far as possible close to the entry gate of jungle. For my plan to Kenya, I have selected hotels which are the only hotels in that jungle, so if you are planning to go through tour operator, I am sure they do not opt for these core zone hotels since they are pretty costly ! Whereas I have budget of 1.25 Lacs per person including these best in class hotels, so that I will be able to see the wild life throughout the day and night during the stay 🙂 yes, that’s the idea. 7.30 Br fast & then drive to Aberdare Country Club. Lunch at beautiful ambiance of Aberdare country Club. Watch Birds & wildlife around. After lunch transfer to ” The Ark” in clubs vehicle. This is a beautiful wooden hotel right in the heart of high forest. 1.8km altitude. Its iconic place & you can view all wild life from very close distance throughout the night. You can watch wild life thru tunnels, Glasses, & from four decks at key locations. Flood lights provided throughout the night for better viewing & photography. Dinner & O.N. Stay. After leisure Br fast drive to Lake Nakuru forest. Road crosses the Great Rift Vally. Lunch at beautiful Nakuru Lodge. Then evening game drive to view Nakuru wild life & lake visit. View thousands of lesser flamingos & other birds. Dinner & O.N. stay. Br fast 7.30 & departure to Huge Masai Mara meadows. Watch worlds mega show of migration here for 2 days. Lunch at Mara Leisure Camp. Evening game drive. Dinner & O.N. Stay. Br fast, Morning Safari ride, Lunch, Evening Safari ride. Dinner & O.N. Stay. Early Safari Ride & late Br fast, Drive to Nairobi. On the way shopping of wooden carved articles, handicraft etc. Lunch at Nairobi. Shopping at Nairobi optional. (Time dependent) . Reach Nairobi Airport by 18.00 for Kenya Airways flight at 21.00. Meals/Drinks on board. 1. You went in Sep. Did you see the migration or is it better to go in Aug? 2. 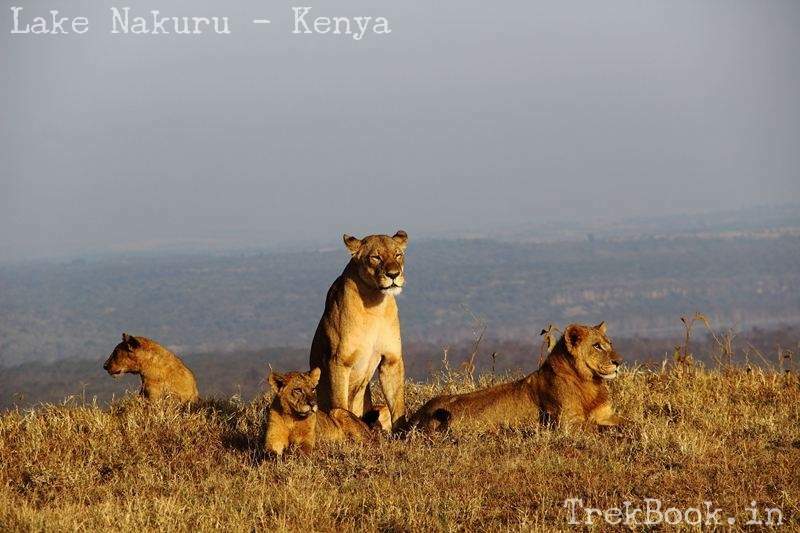 Do you really think it is worthwhile to go to Aberdere and Lake Nakuru staying only for one night at each of the places. Instead why not go only to Masai? As the roads are bad, will it not be better to fly down from Nairobi to Masai with the money you save by not visiting Aberdere and Lake Nakuru. Give me your frank views! 2) Yes, its worthwhile to goto Aberdere and Lake Nakuru, no point in saving money and only going to Masai (in my view), each place has got its own beauty.